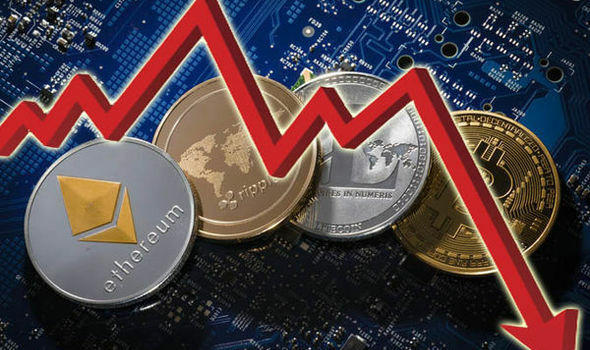 Bitcoin, Ethereum, Litecoin, and other leading cryptocurrencies have been experiencing sharp falls in their prices in the market recently. Bitcoin in particular has suffered a terrible week that will have owners feeling nervous about their digital currency holding. The well-known cryptocurrency has seen its price drop by over US$2,000 in less than seven days. It has been a rough period in the virtual currency (VC) market, with most of the leading cryptocurrencies suffering from negative changes recently. According to data from Coinbase, almost all of the top 50 cryptocurrencies the site lists have experienced negative changes (only TrueUSD and Paxos have enjoyed small increases). Many of the negative changes are over 30% on the month, with Bitcoin falling by 33.12%, Ethereum by 35.80%, and Litecoin dropping by 38.26%. In terms of negative change, the hardest hit cryptocurrency in Coinbase’s top 50 over the last month has been ICON, which has lost over half its value (56.83%). The figures for the last 24 hours at the time of writing have not been positive for the leading VCs either: Bitcoin -10.24%, Ethereum -11.06%, Litecoin -9.29%. It is an astonishing fall for Bitcoin; the price of the VC closed at US$4,331 today, but in the space of just one week it had experienced a high of US$6,290 (Nov 14) and suffered a low of US$4,191 (Nov 20). Various reasons for the current cryptocurrency crash have been offered, including tightened regulations, bans on ICOs, pessimistic “bear” market trading, and a US Department of Justice investigation into possible price manipulation. It should be remembered that in December 2017 the price of Bitcoin was hovering at the US$20,000 mark. Now the beleaguered VC is looking at dropping below the US$4,000 mark for the first time in over 12 months.